Last month, I visited the Aspen Centre for Physics, on the outskirts of Aspen, Colorado. It is a wonderful place: they give you a desk, a wifi connection, time to think, and a bike to get around town. Officially, I was in Aspen to think about the Big Bang, but while I was there I also found myself mulling over the physics of cycling. Not the physics of why bikes stay up (although that is complex and certainly interesting), but how physics lets bikes be so good at what they do. Typical urban cyclists use energy at roughly the same rate as pedestrians, but travel about three times faster. Or put another way, you can cover three times as much ground on a bike as you do on foot, for the same amount of effort. Speeds vary, but 15 kilometres an hour is reasonable for an "upright" cyclist, whereas typical walking speeds are around 5 kilometres an hour. By contrast, Tour de France riders manage a sustained output of close to 300 watts, just over four times more effort than you need to move at a comfortable walking pace. Regular human beings can only maintain this level of activity for a minute or two before tiring. So when you're on a bike, where does the energy go? A cyclist traveling at a constant speed on flat ground must replace energy lost to friction and air resistance. The frictional forces acting on a bike (i.e. at the point of contact between the wheels and the ground, and in the chain and gears) increase in proportion to the cyclist's speed. But air resistance is worse: "drag" really is a drag. The faster you move, the more air you move through. And when you are moving quickly, you are stirring the air more vigorously. The combination of these two effects makes air resistance a double whammy for cyclists: doubling your speed, even on a still day, increases the air resistance by a factor of four. And winds just make things worse -- even a gentle headwind can double the air resistance, boosting the energy cost of cycling. So you really feel a headwind on a bike. And let's not mention the hills... Except that in Auckland we really do have to talk about the hills. Ancient Rome may have been built on seven hills, but my city of Auckland is built around something like 40 (inactive!) volcanic cones. Auckland is not as vertiginous as parts of San Francisco, but it is decidedly lumpy when you get on a bike. The problem with hills is that they turn your bike into a crane; you are not just moving horizontally, but you have to lift yourself and your bike to the top of the hill. And that costs energy. It doesn't need to be a big hill. Even a gentle slope doubles the energy output of a cyclist; the "hill" in the picture above has a slope of 2%, but if you wish to keep moving at a steady 15 kilometres an hour, you would need to double your energy output to climb it on a bike. You can climb it more slowly (that's what gears are for) but if you want to keep moving more quickly than a pedestrian you have to work harder to climb the hills. Anyone who has ever got off their bike and pushed it up a hill knows that there is a point at which you might as well walk. Given the hills and headwinds, riding to work may only be workable if you don't mind a workout on the way to work. So for many people hills and headwinds are what keep our bikes in the garage, rather than out on the road. But if physics explains why cycling can be hard work, it also generates the solution: the electric bike. In New Zealand, the energy output of an electric bike is legally limited to 300 watts: any more and it is a motorbike, not a bike with a motor. But even this little motor is like having a Tour de France rider hidden in your hub, helping you up the hills. This explains why no-one adds pedals to a car: while a little motor is a big help to a cyclist, even a small automobile engine can deliver up to 100,000 watts and no human being could contribute enough extra energy to make a difference to a car. (No-one told Fred Flintstone this.) But on an electric bike your legs can always make a useful contribution. The upshot is that an electric bike works the way bikes work in our dreams. On an e-bike, hills and headwinds don't slow us down, and the motor is small enough to make sure it still feels like you are riding a bike. And while e-bikes can let anyone cycle like a crack athlete, you can still look our kids in the eye when you get home at the end of the day. There is a fair bit of excitement about electric cars, but when it comes down to it, they are still cars. They might reduce your carbon footprint, but they won't change your life – if you swapped all the regular cars on a traffic-clogged road with electric cars, it would still be clogged with cars. Whereas electric bikes let us live in ways that regular bikes (or cars) do not. We hear a lot about how cities like Auckland should be more like Amsterdam or Copenhagen. There are all sorts of barriers between us and that aspiration, but hills don't need to be one of them. 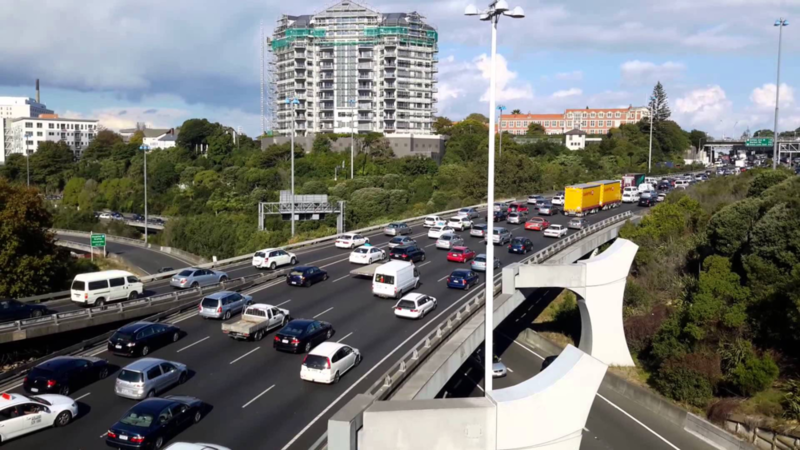 Over the next few years, Auckland is going to get some stunning cycling infrastructure and my hunch is that electric bikes will help Aucklanders make the most of it. Bikes gave us a better way of getting around than walking, and electric bikes give us a better way of biking. You don't have to be Einstein to understand this. Just get on an e-bike and take it for a ride. CODA: This blog is based on a Pecha Kucha presentation I gave in Auckland; you can watch it on video here.